Last September, SanDisk announced a premium SD card with an insane 512GB of storage space. Now, flash storage maker Microdia has matched that--on a microSD. The Hong Kong-based company is showing off its ultra compact storage device at Computex this week. Such a massive amount of storage in something that's about the size of a fingernail won't come cheap. SanDisk's 512GB SD card had an MSRP of $800 at launch. Microdia plans on charging $1,000 when the Xtra Elite microSD goes on sale in July, according to CNET. That puts the microSD card in exactly the same market as other high-capacity storage cards: photographers and other professionals who need massive storage in a tiny package. Microdia's Xtra Elite will allow for data transfer rates up to 300Mbps thanks to its Ultra High Speed (UHS) bus that features an extra row of pins. 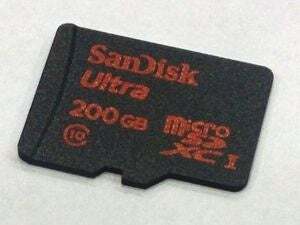 Before Microdia's microSD, the largest capacity we'd seen on a card that size was 200GB, which SanDisk introduced during Mobile World Congress in March. At the time, SanDisk said the 200GB card would sell for $400 and be available before the end of June. The device is currently listed on sites such as Amazon and B+H Photo for $250, although it is not yet for sale. The impact on you at home: Microdia's 512GB microSD is big, offering the same capacity as many laptop hard drives. It's not cheap and the price isn't likely to bottom out anytime soon, but that will change over time. 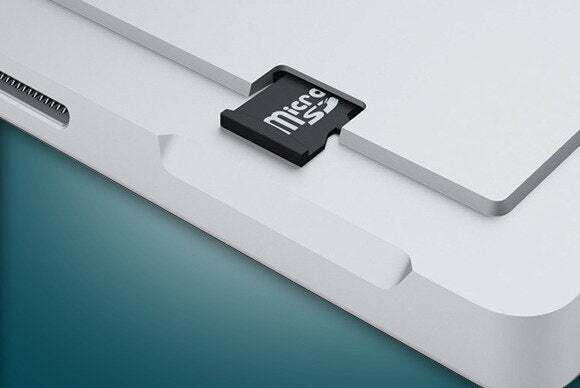 Besides, the SDXC format allows for up to 2TB of storage, so as manufacturers figure out how to efficiently cram more storage into a microSD, cards like Microdia's will inevitably drop in price. SanDisk's 512GB SD card, for example, is already selling for $500 online despite an $800 MSRP at introduction in the fall. In a few years, dropping a laptop-sized storage space into your smartphone's expansion slot may not be so expensive.